As gross as it may sound, the CEO of Levi Strauss – aka the jean expert of experts – says you shouldn't wash your favorite pair of denim. “We try to educate the consumer…If you talk to real denim aficionados, they’ll tell you don’t wash your blue jeans, just take a sponge or toothbrush,” said Levi’s CEO Chip Bergh at Fortune’s Brainstorm Green conference. “I know it sounds totally disgusting. 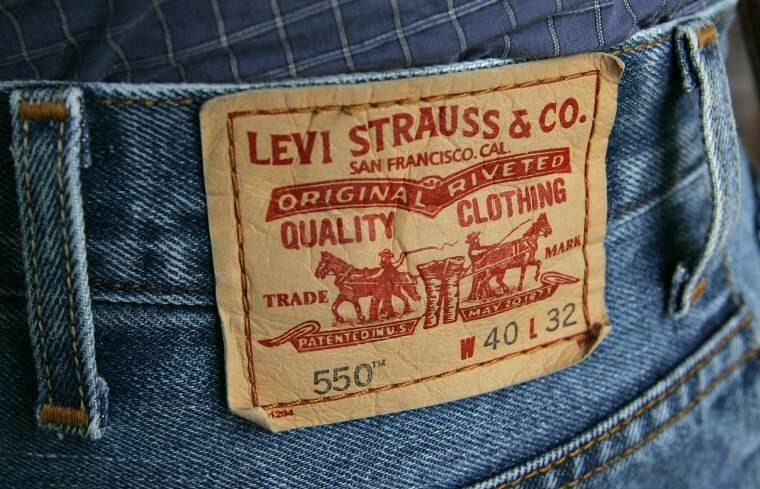 I know it does, but believe me, it can be done.” Yesterday marked the 141st birthday of the classic Levi’s 501 jean. We can only hope that any remaining pairs from then have seen the inside of a washer machine. Columbia University engineering student Ruby Robinson did not expect to see her father at graduation -- after all, he’s a captain in the U.S. Army and currently deployed in Afghanistan. But little did she know, Capt. Keith Robinson was in the middle of carrying out a top-secret mission: to surprise her at graduation. He managed to get leave from his unit and flew 14.5 hours from Kuwait to the U.S. for her special day. Her reaction was priceless. When asked about his long trip to see his daughter, Capt. Robinson said, “When I saw her, it was like…it was all worth it. EBay is urging its 145 million active buyers to reset their passwords following a security breach. The e-commerce site is also reminding users to make the change at any other sites where they have used the same password. Officials say there is no evidence of any unauthorized activity resulting from the cyberattack. Still, eBay is the latest in a string of reminders: use strong passwords, use different passwords and change them often. Who has the greatest pipes of all time? That would be Guns N’ Roses frontman Axl Rose, according to a new chart from Concert Hotels. The chart ranks artists based on their vocal ranges alone, and Rose’s five-octave instrument puts him at the top of the list. Sitting below Rose is Mariah Carey, followed by Prince, Steven Tyler and James Brown. At the very bottom: Luke Bryan, who is topped by Taylor Swift, Karen Carpenter, Sam Cooke and Justin Bieber. But while vocal range is a good indicator of an artist’s talent, there is, of course, much more that goes into making music, so take the chart with a grain of salt. There are Michael Jackson impersonations and then there’s this: a teen at Pitman High School in Turlock, Calif., crushed his school’s talent show with his rendition of the classic “Billie Jean.” He spins, kicks his leg and moonwalks all over the gym floor to win the crowd -- and first prize in the competition. Well done, sir.